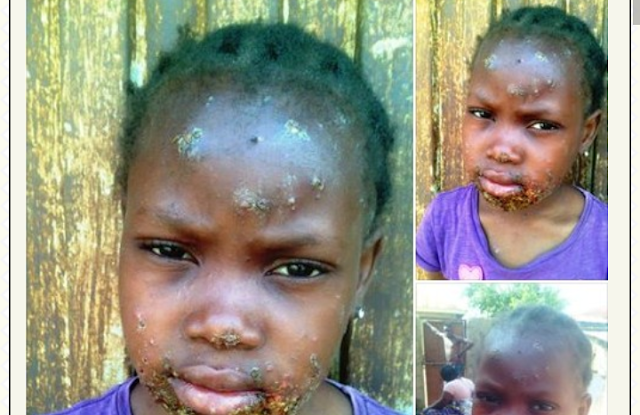 A Facebook user identified as Daniel Igoche, has raised an alarm after meeting a little girl with the symptom of the dreaded Monkeypox virus in Kaduna state. According to him, the little girl has only been treated with traditional roots and herbs due to financial constraint. The young man is calling on the Kaduna state authorities to look into the matter before it gets worse. Twelves persons have been reportedly quarantined in Bayelsa state after the first case of suspected monkeypox infection was reported a few days ago. The virus later spread to the neighbouring state of Rivers. Nigerians are required to always wash their hands, avoid monkeys, bush meats, and dead animals as well as be on the lookout for symptoms which often manifests as various stages of rash and an intense weakness of the body, severe pains, among other things. Samples from suspected victims in Bayelsa and Rivers have been sent to the World Health Organisation, WHO, laboratory in Dakar, Senegal for confirmation.